The Cycladic Greek Island of Milos is fast becoming one of the most “trendy” islands to visit during the long warm Greek summer months. With a relaxed attitude towards having fun, this island is gaining a reputation for a fun and active nightlife. Modern times on the island today may be reflective of ancient times; as the very famous statue, Venus de Milo, now in the Louvre, was found in ancient ruins on the island, as perhaps then, like today, this island, one of the five largest Islands in Greece, was an ancient island of happiness and love. 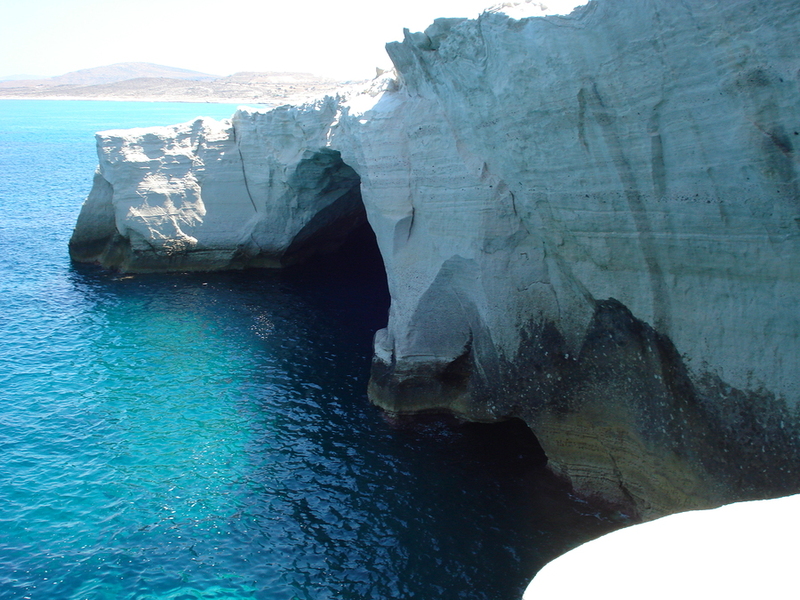 A volcanic island, Milos was well known in ancient times before the Bronze Age, and possibly as far back as the 6th century BC. as this island had a large geological cache of obsidian, a glass like volcanic sharp stone with which islanders formed weapons, and implements for household and farming to use themselves and to sell abroad. A much sought after export, this cache of obsidian made this an active and wealthy trading island. The natural main harbor was once the volcano crater, and hot volcanic sulfur springs can still be found ashore. The island’s somewhat lunar landscape was created by volcanic rocks and minerals, some of which are mined today for export. Archaeological Museum: Housed in a Neoclassic Building in Plaka, the capital city of Milos; within, all found on the island, are a prehistoric collection from Fylakopi, a collection of sculptures and bas-reliefs, an obsidian collection, and a collection of inscriptions. 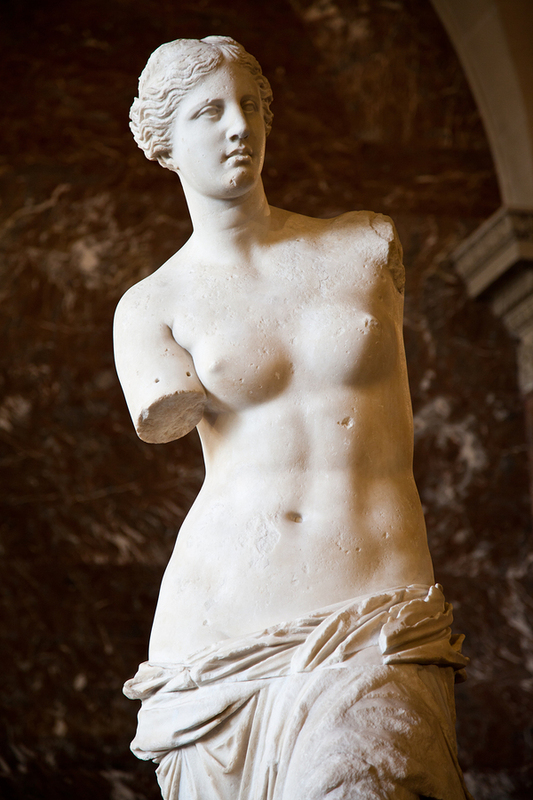 While the actual sculpture of Venus de Milo is currently housed in the Louvre Museum in Paris, the Louvre Museum created an exact replica of the statue, for the people of the island, which is in the entry way of this museum. Also, within the museum are artifacts from as early as 4200 BC, including items from an early Cycladic civilization. Folklore Museum: Enjoy exhibits of everyday life on the island from around 1750 to the 1930’s, including dress, everyday household objects, religious items, and all that needed to support a Melian household both inside and outside of the house. Archaeological Excavation Site: Located above Klima are the ruins of the ancient city of Melos dating from Hellenistic times. This is where the famous statue of Venus de Milo was discovered. Today there are remnants of fortification walls and a not very well-preserved theatre that is currently undergoing restoration. 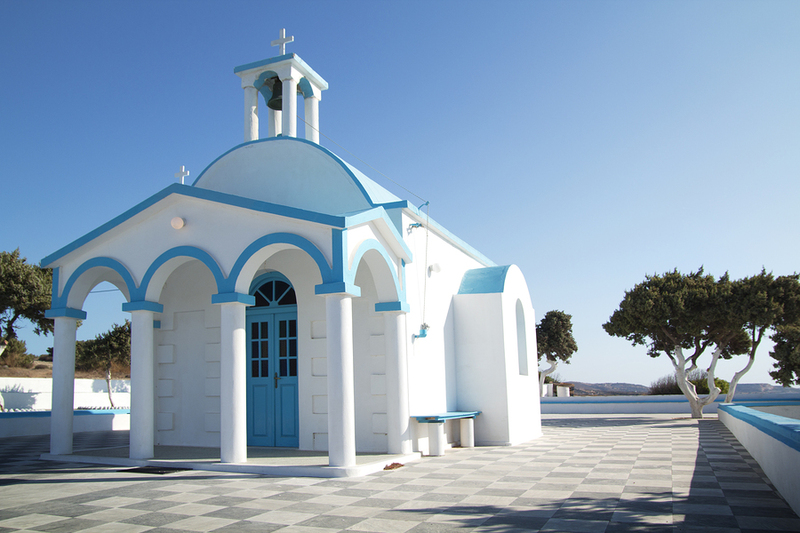 Christian Catacombs: Christianity flourished on Milos. Near the ancient city of Melos and just below the modern-day settlement of Trypiti, the side of the hill leading down to Klima is filled with many man made caves, used as tombs, from the early Christian period. Some are small, simple tombs cut into the soft volcanic rock, that islanders are using today for storage. Others are more substantial with inter-leading passages. Sadly, the tombs were robbed centuries before. While first used as tombs, the larger network of passageways was subsequently a place of worship, and finally, during the time of Christian persecution, the catacombs became homes. While only a small portion of the catacombs has been unearthed today, one can visit and gain a feel for the Christian world in Ancient Times. 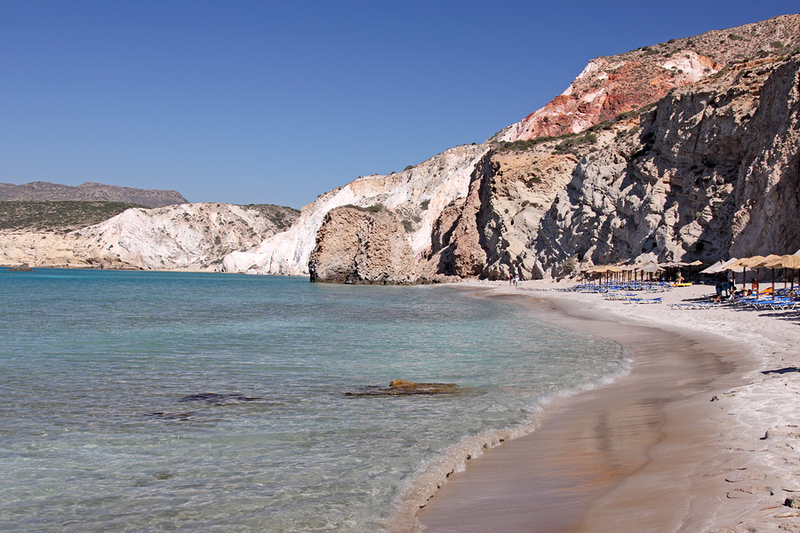 Beaches: Like other Greek Islands, Milos has many beautiful beaches, over 70 in fact to enjoy for sunning. The most famous beach is Sarakiniko, with a moonscape landscape filled with white rocks. 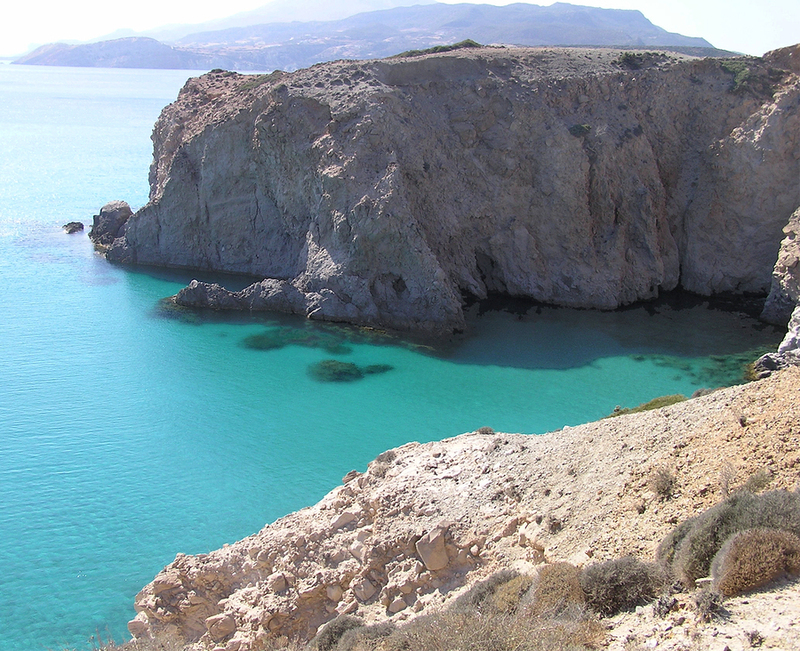 Other amazing Milos beaches are Tsigrado, Paleochori, Agia Kyriaki and Firiplaka. Caves: The island has many caves; the most important of which are Papafrangas, Sykia, and Kleftiko. Papafrangos is in the north, Sykia is in the west and Kleftiko is in the south. These caves are great to explore for swimming and snorkeling. Carved by the seas out of white rock, the colors of the waters inside the caves are unique and beautiful. 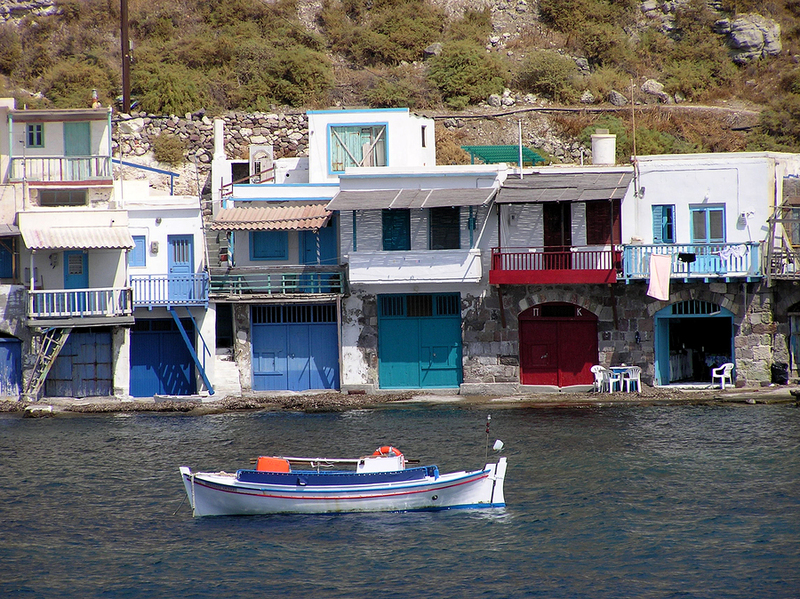 Visit the Greek Island of Milos on a crewed yacht charter and enjoy a bit of trendy nightlife along with history, beautiful beaches, caves and various anchorages on a crewed yacht charter through the Greek Cycladic Islands.